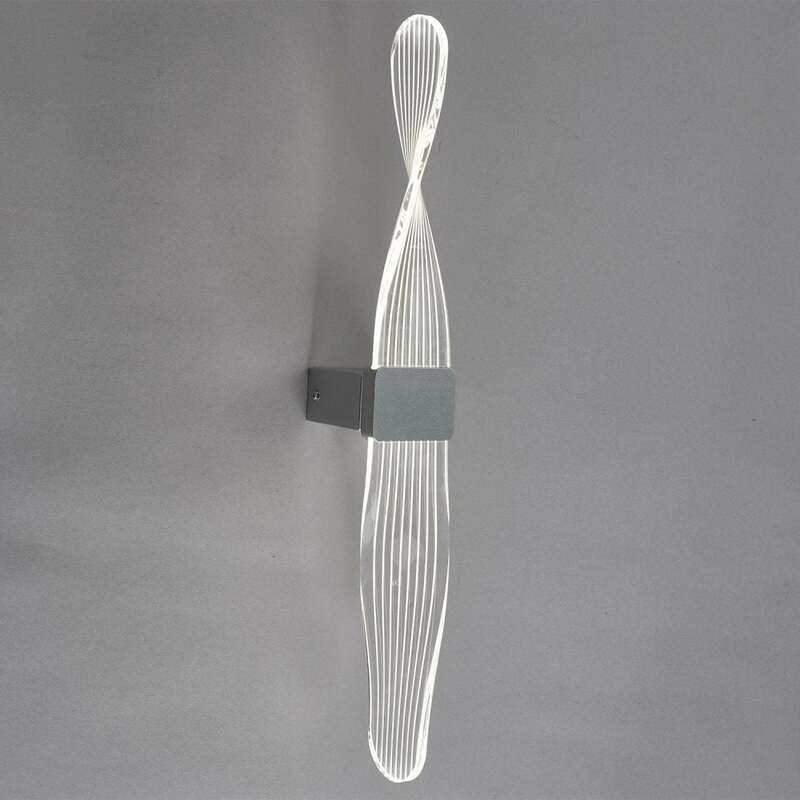 Dar Twist single light wall fitting with a rectangular wall plate which supports an acrylic LED twist. This modernistic progressive wall fitting combines practicality with energy efficiency, not to mention it's superb styling. The acrylic twist has an integrated cool white LED providing 352 lumens. This product code is TWI0732. A single or 2 light pendant are also available to match.